In recent years, the manufacturing industry has been under pressure to cut costs and improve productivity while adapting to new technologies. 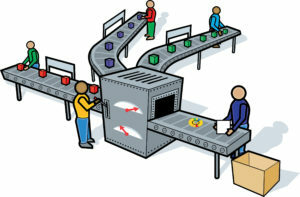 The effect on many manufacturers has thinned profit margins, and caused setbacks leading to complications in cash flow. Increased competition from the globalization of manufacturing has led smaller manufacturers to reduce pricing while improving their production capabilities. With increasing costs due to various necessities such as raw materials, facilities, labor, expansion, new equipment, and transportation – companies that don’t have a steady or stable cash flow will find it difficult to manage overhead costs. Payment terms can also become extended, in some cases as long as 90-120 days. Traditional financing is not the best option as banks typically seek an extensive operational history as well as a strong credit standing from borrowers. Lengthy application and approval processes can interfere with deadlines. Also, the cost for bank loan products can be displeasing for small manufacturing companies, especially when needed regularly. Invoice factoring for manufacturing is more flexible and it accommodates the inconsistency of cash flow. By selling outstanding invoices to a factoring company (or “factor”), the manufacturing company can receive up to 80% of the invoice value. The factor also takes responsibility of collecting the receivables. Once paid, the balance is sent to the manufacturing company less a factor fee of 1-3% per month. Getting started with invoice factoring doesn’t include a credit qualification requirement, as factors instead rely on the creditworthiness of the manufacturing company’s customers. This allows small manufacturers to keep competitive in the industry. By allowing companies to factor as many invoices as necessary, this enables greater control over ongoing operating costs. Invoice financing tends to take one business week to set up. As long as the manufacturing company does not have any outstanding tax liens or other financial encumbrances, it can begin submitting invoices for sale to the factor. Funding occurs within 1-2 days after that. For manufacturing companies with seasonal up and downs to their business, invoice factoring can become a valuable financial management tool. With their receivables in the hands of an experienced factoring company, manufacturers can turn their focus to business growth.